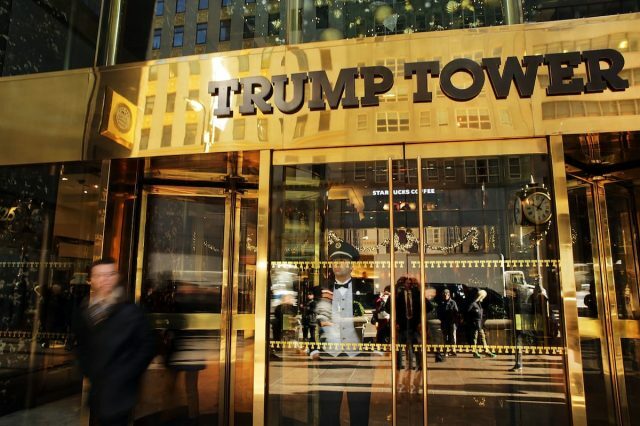 Anyone who’s been following the U.S. election knows that Donald Trump is an ostentatious man and nothing proves this more than his home ‘Trump Tower’. 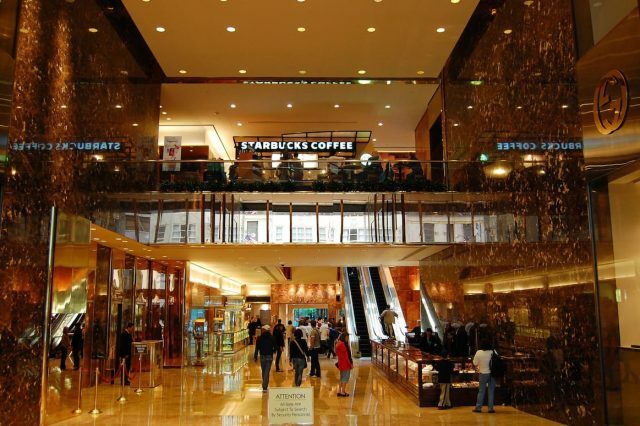 The would-be president whose name sounds like a fart lives at the top of a huge 650ft skyscraper which is also home to his $3.7billion business empire. The garish 58 storey building’s a monument to the staggering ego of Donald and is covered in gold on both the inside and out, presumably because it’s a classy colour. 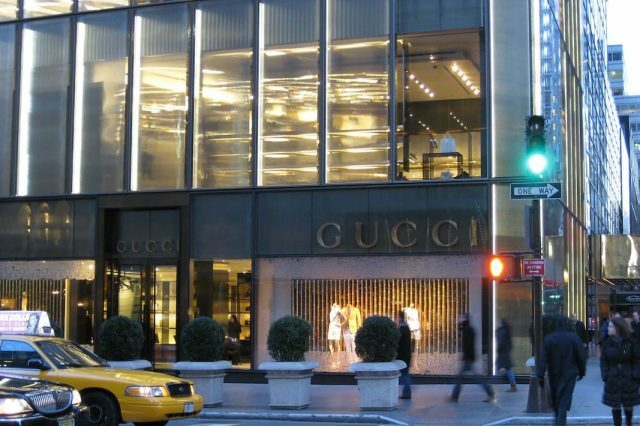 Located on New York’s famous boulevard Fifth Avenue, Trump Tower is for better or worse an iconic building worth an estimated $288 million. 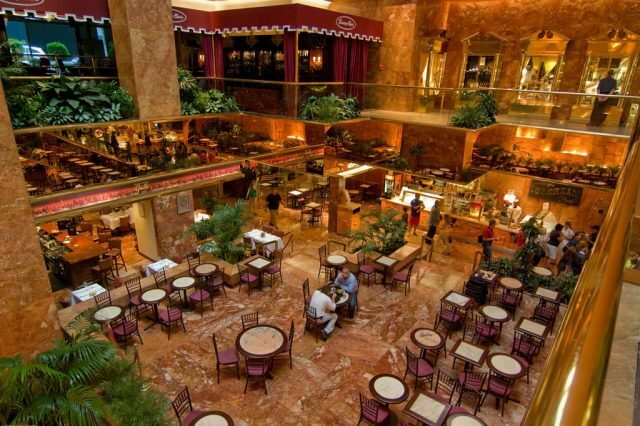 Inside Trump’s lair visitors will find a public atrium decked out in gold full of cafes and shops. You can even buy Trump memorabilia just in case your copy of Art of the Deal has gone missing. In the rest of the glitzy tower are various businesses and apartments, some of them worth $23 million, but nothing tops Trumps huge penthouse at the top of the building. The massive 30,000 sq ft penthouse apartment is believed to be worth $100 million and is of course decorated in Trump’s favourite colour ‘gold’. From his skyscraper home Trump can allegedly keep an eye on his huge property empire.